See Deals & Packages Right Here! In an era when the world was coming to terms with military technology in 1948 AD, electronics major Motorola chose Phoenix for its military research. The initiative saw the Arizonian capital city blasting its way to prominence as untapped labour potential lured many other MNCs to come here. Construction of homes, recreational centres and musical hotspots recorded an explosive upsurge that is continuing to this day. Heard Museum in Phoenix has attracted much fame for the quality of its art collections. It was founded in 1929 AD and has been portraying cultural identity of the native Indians ever since. It features traditional Native American artworks like pottery, jewelry, textiles, and a large collection of kachina dolls. 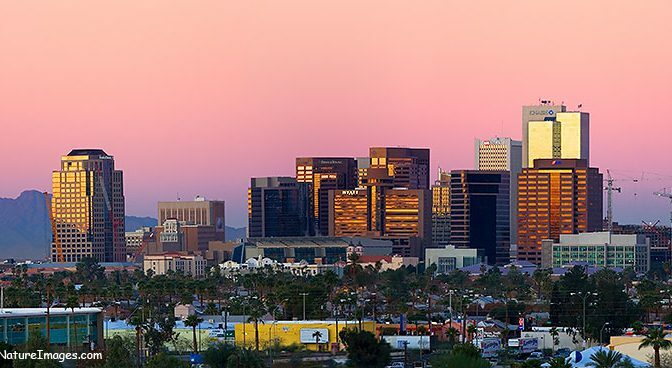 Located in Papago Park, Phoenix, the Desert Botanical Garden is known for its exclusive range of desert vegetation and cactus plants of the world. This 140 acre garden is tended by a thousand like-minded volunteers that make sure that life in spring season is welcomed in as many colours as possible. Desert Botanical Garden was founded by the Arizona Cactus and Native Flora Society in 1937 and has now grown up to 21,000 plants, a formidable number that includes 139 rare or endangered species. A special mention also needs to be made for its spectacular number of 10350 cacti plants across 1350 taxations that don’t fail send a shiver down the spine. The countenance of the Phoenix Museum (estd. 1959) is a stunning piece of artwork in itself but it pales in comparison to its exclusive collection of traditional American, European Renaissance and Baroque artworks. As the largest museum of visual art in the south-western US, the museum also plays a regular host to multiple art festivals, live performances, independent art films and educational programs throughout the year.